A few weeks ago, I was in Texas on business. My first stop was Austin and my second stop was Cleburne, just west of Dallas-Ft. Worth. As to be expected, I took the opportunity to sample the local BBQ. In Austin, I asked for good Que close to my hotel since it was a long day of traveling. 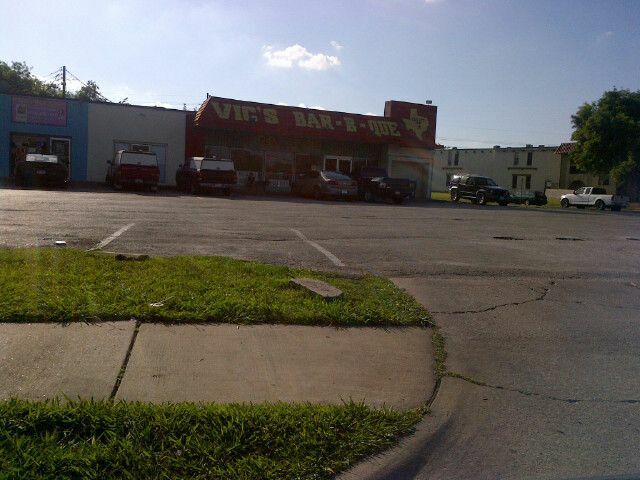 It was recommended by my customer to visit Vic's BBQ about a mile from my hotel. Vic's is a little joint nestled in a small strip mall next to a convenience store. A bit run down looking, but aren't those the best spots? 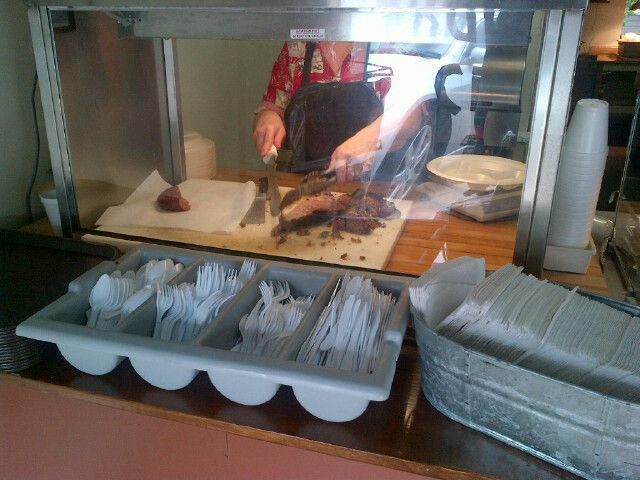 Upon walking in, you are directed to the counter situated right next to the menu. After scanning the menu and the meat, I settled on the Three Meat combo with two sides. 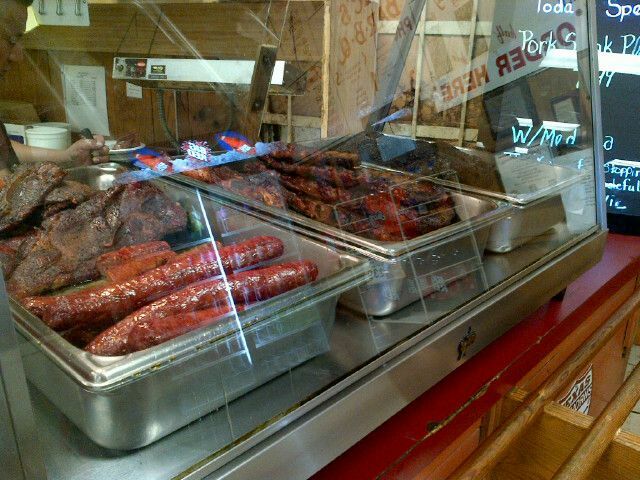 Since I was in Texas, I had to try the hot links and brisket, and I chose some pork spare ribs for my third meat. Unfortunately, beef rib night is on Thursday. My sides were jalapeno pintos and cole slaw. The whole platter was served with the two customary slices of squishy white bread. How was everything. Well, lets start with the good. The brisket and rib meat was cooked to a perfect tenderness. The hot link had a nice snappy skin and the cole slaw was fresh and not limp. The beans were tender as well and the bread was fresh not stale. Unfortunately, this plate was devoid of flavor. Where were the jalapenos in the beans? Where was the rub on the brisket and ribs? Where was the spicy goodness in the hot links? Where was the vinegar in the cole slaw? Everything was tasteless. Even the sauce couldn't save the taste buds on this plate. To sum it all up, the whole plate was a perfectly cooked ode to blandness. 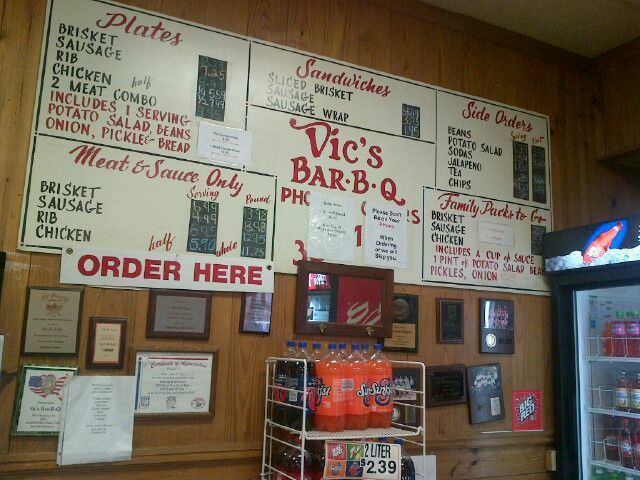 If you like tender meat, Vic's is for you. If you want some spice and taste, go elsewhere. Bottom line, Vic's BBQ gets a C. It may have been a bad day for the spice and the perfectly tender meats saved this visit. 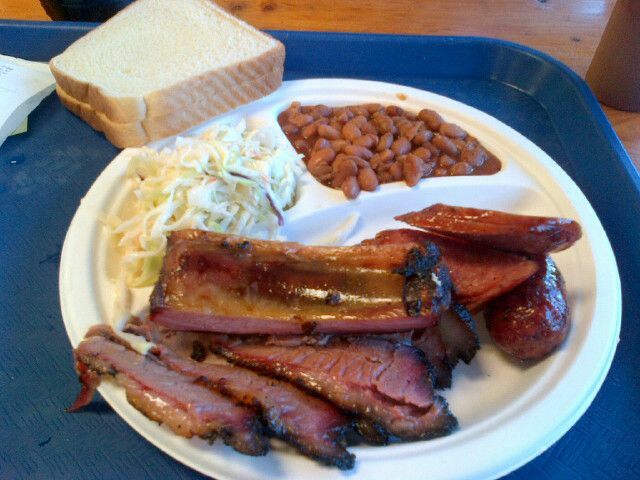 The next day as I was driving though Cleburne, I found this little joint, Buffalo Creek BBQ. After the experience at Vic's the day before, I was not planning on BBQ. I was going to go Mexican. But, I was hungry, I couldn't find Mexican, and this place just appeared out of no where. So, I parked and in I went. The place is run by 5 little old ladies with an average age of around 65. I was a bit hesitant, but I was already there and the gentleman in front of me had just picked up a pound of BBQ Bologna. The place couldn't be all that bad. Right? So, I scanned the meats and made my choices. I went again with the Three Meat combo with two sides. 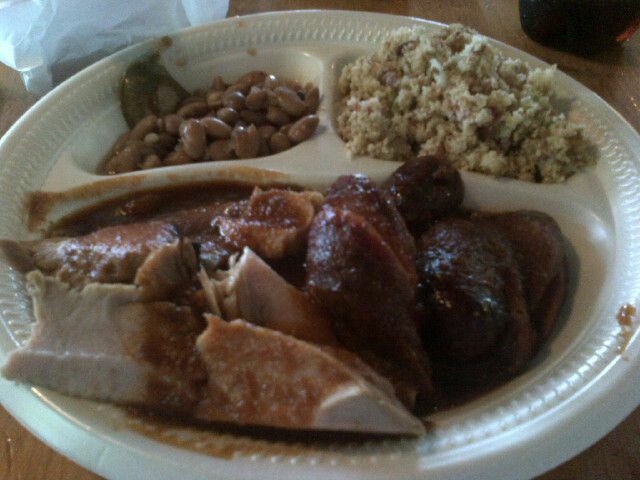 I had the hot links, brisket, and smoked turkey with the spicy sauce and for sides I had the pintos and cornbread salad. How was it? Pure heaven. Again, the meat was cooked to the perfect tenderness. But, this stuff had flavor. The hot links were bursting with garlic and spice. The brisket was fork tender and seasoned to perfection with just the right amount of heat. The turkey was the biggest surprise. It was brined perfectly with a slightly sweet and spicy rub. The hickory smoke was just right. The beans were tender and had a nice level of spice that left the lips tingling and begging for more. I had never had Cornbread Salad before, but it was wonderful. The best I can tell it is day old sweet cornbread that is coarsely crumbled. To it, they added smoked bacon cooked crisp, finely diced green pepper and onion, and just enough mayo to hold it all together. I will be trying to make this at home. Overall, A+! The best BBQ I have ever had that was not from a competition. I wish they were within driving distance. 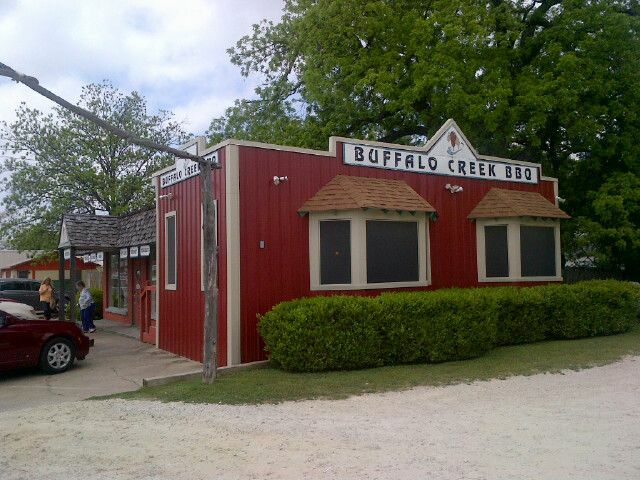 If you are ever in Cleburne, Buffalo Creek BBQ is a must add to your bucket list. I know you are probably a tough critic. What type of sauces did they serve? The cornbread salad sounds great and am looking forward to your recipe.